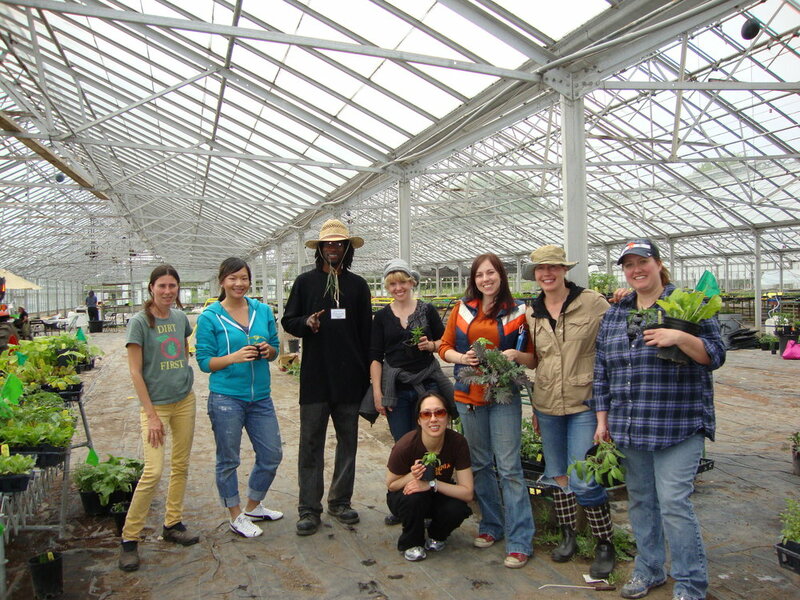 In celebration of Earth Day, some co-workers and I got to spend the day out of the office and in the dirt, gardening, planting and harvesting at the Sunnyside Organic Seedlings Farm. Sunnyside was founded by a woman named Pilar who's belief is to "provide quality certified organic plants that are produced in a socially and environmentally responsible manner." The most amazing thing is that every year, they donate thousands of pounds of freshly harvested vegetables to schools, shelters and community gardens all over the Bay Area. At the end of our volunteer day, we were served lunch, prepared by the Sunnyside staff who use vegetables picked right out of the garden. We were then given some plants to take home to start our own urban garden right in our backyard. I'm so inspired to start gardening and beautifying our yard now, I can't wait to get my hands dirty!